3-year-old Harith is the youngest and naughtiest in his family. He is cheerful and loved by everyone. He is waiting to go to school like his sister and brother. Little did he know that his life is not going to be normal like theirs. He is not aware that his life is at risk and only a transplant can save his life. Harith was born perfectly well but he was very thin and did not gain weight for a long time. Worried parents, took him to hospital. He was given medicines after medicines to gain weight but it did not help him. It was only when he turned 1, his health deteriorated, multiple tests were taken and was diagnosed with the end-stage liver disease. His body cannot break down proteins and his liver does not function adequately. The disease is worse than we could imagine. It leads to intense itching and easy bleeding, problems with memory and concentration. Ever since the diagnosis Harith's mother is strictly following all the instructions given by doctor religiously. Harith is not supposed to have any food that has protein content and absolute no to dairy products. He can have vegetables that have less protein. "It is difficult to follow such a strict diet with a 3-year-old child. I have never given him chocolates and ice creams. I do not allow him to see TV, I'm scared that he might ask for all those foods he sees in the ads. I do not allow him to play outside, even a small scar can make his condition worse.He is deprived of all the joys that a child should have at this age. It is painful to stop him from everything but I have no other choice. I want him to live." - Neha Patel. 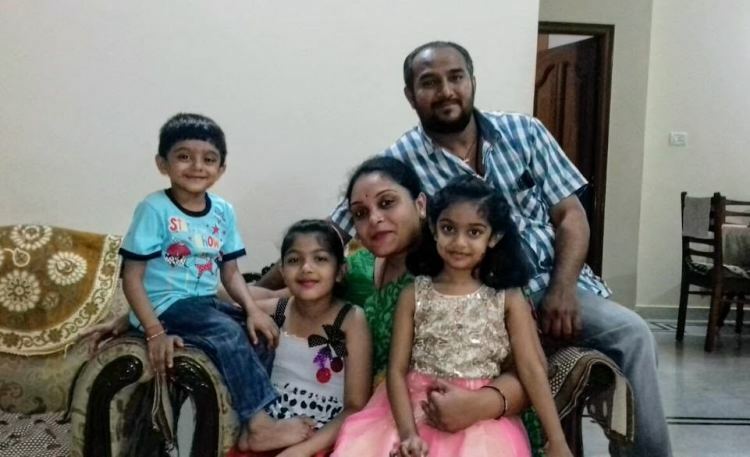 Harith has an elder sister Bhuvisha (8), and a brother Dridesh (6). They are too young to understand the condition of their brother but they cooperate so well with their mother. They do not ask for chocolates or any dairy products because they knew that their little brother cannot have it. 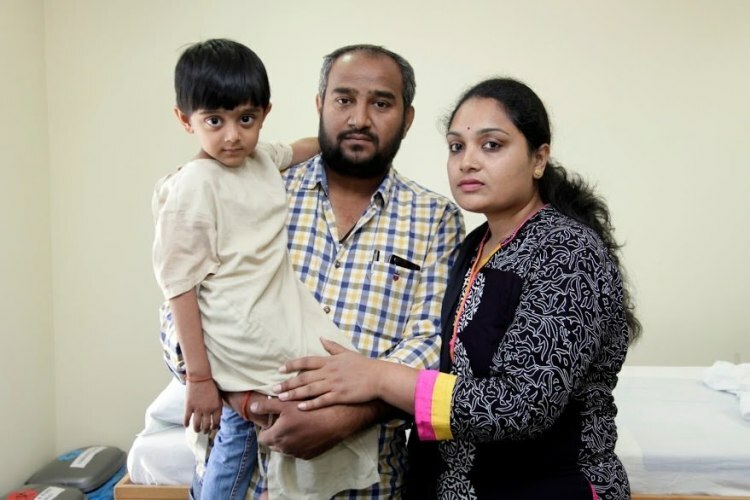 "My son is surviving only because of my wife, even doctors are surprised. Right from the quantity of water he must intake to the food he should take and the medicines are all taken care of her. Despite all this, she makes sure that my son is not sad, she spends all the time with her and keeps him happy." - Siddarth. When the complications grew, doctors in Bangalore referred them to Institute of Liver and Billary Sciences, Delhi. They take him to Delhi every month for the checkup. Doctors have told that only a transplant can save his life and it has to be done at the earliest. Fortunately, his mother is found to be matching donor and she is donating a part of her liver to save her son's life. Siddharth runs a vegetable business and he earns a meagre income with which he has to support his family of five members. He has drained all his savings and has nothing left to sell. He has borrowed heavily for the medicines and for the frequent blood tests and scans. Liver transplant is the only solution to save his son's life. They have been doing all that is possible to save their son's life. Harith has just not seen the world, he deserves a life. 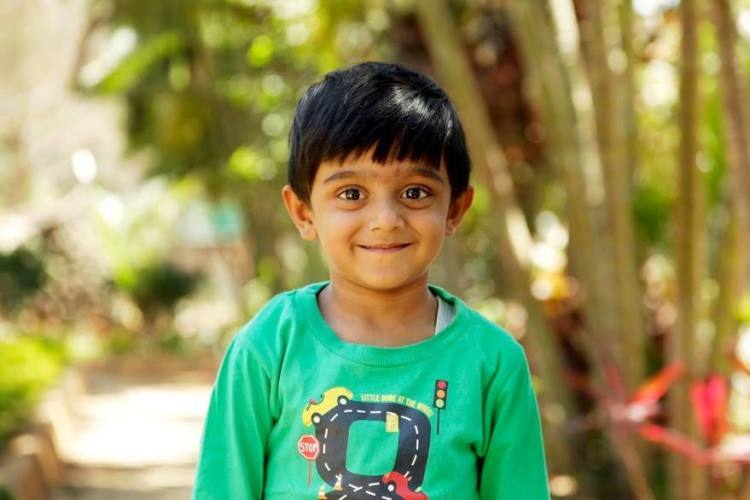 He has no visible symptoms, but a further delay in transplant can even turn fatal.His parents are waiting to show him the other world, where kids grow normally. They live every day with anxiety and fear. 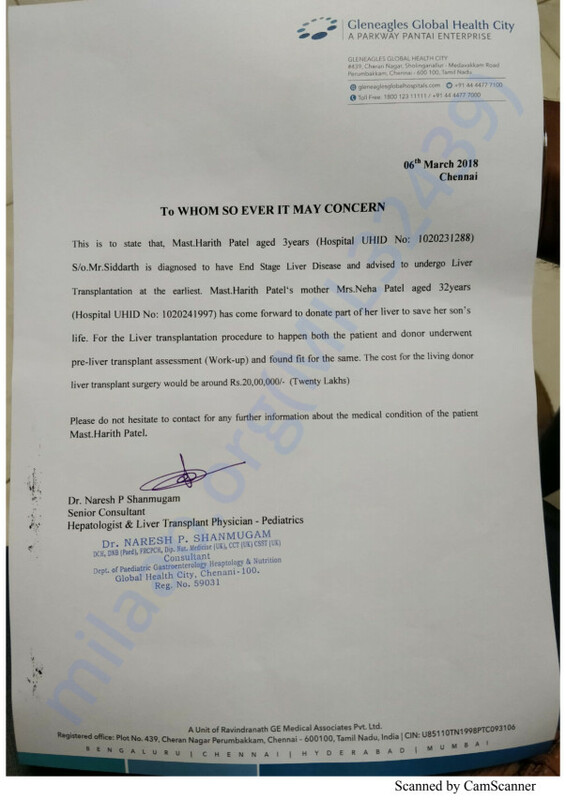 They need 20 lakhs for the surgery. Only your contributions can save his life. 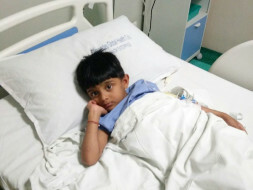 Harith is discharged and came back to normal life. He is recovering slowly and is doing good now. Thank you for the wonderful support that you have shown towards my son Harith. I have some good news to share with you today. 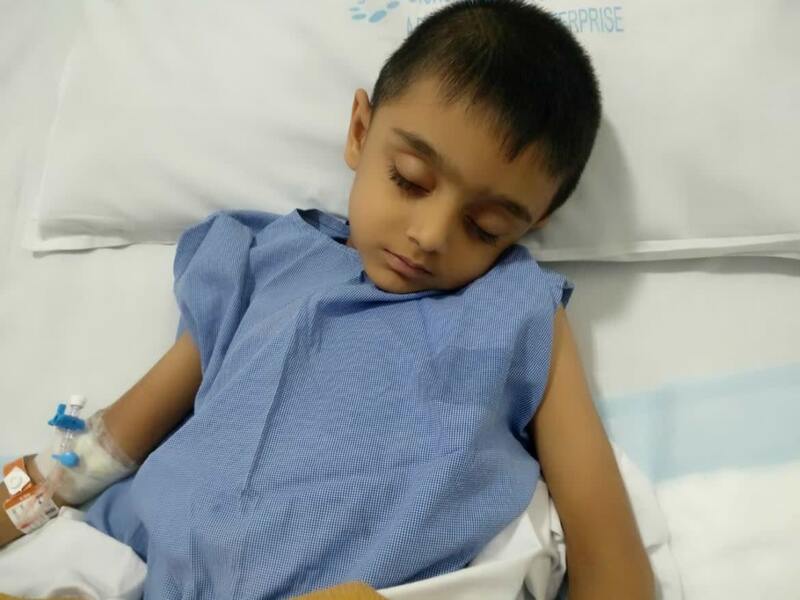 He successfully underwent the liver transplantation procedure on 2nd May. My wife donated a part of her liver to our son as she was a better match. Both of them are doing good. Based on their health and recovery, they have been discharged from the hospital yesterday. The doctors have suggested that we have to be in Chennai for about there months as they will be monitoring his health closely. Thank you for the wonderful support that you have shown towards my son Harith. He is doing slightly better now compared to earlier. His donor workup has been completed and my wife will be donating a part of her liver to our son. My wife and Harith will be admitted to the hospital on 25th and the surgery has been scheduled for 28th of April. Please do pray for his health and speedy recovery. Will keep you posted.